Today, I am starting a three-part series about capsule planning! In this first post, I’ll share our free download that you can use to plan your capsule and TONS of links to items in the different categories. 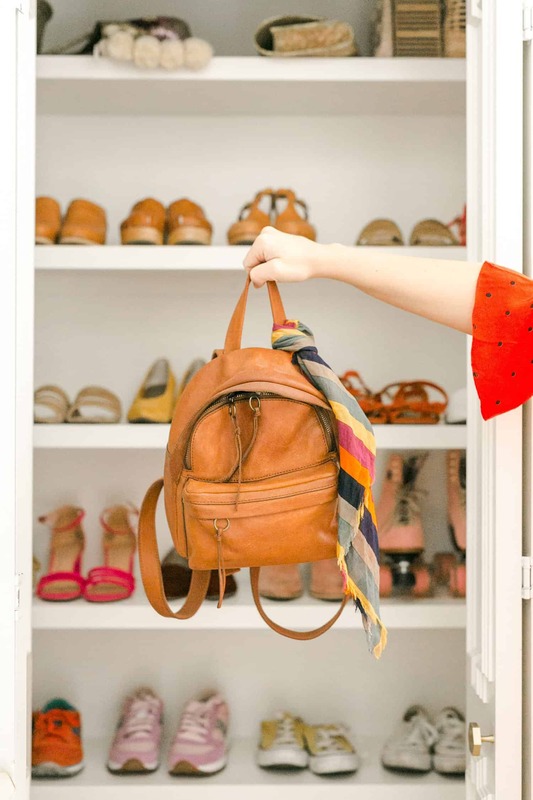 In my second post, I’ll share the best tip that changed the way I shop forever. And in my third post, I’ll share my fall capsule. I am SO passionate about these posts and hope you enjoy them! 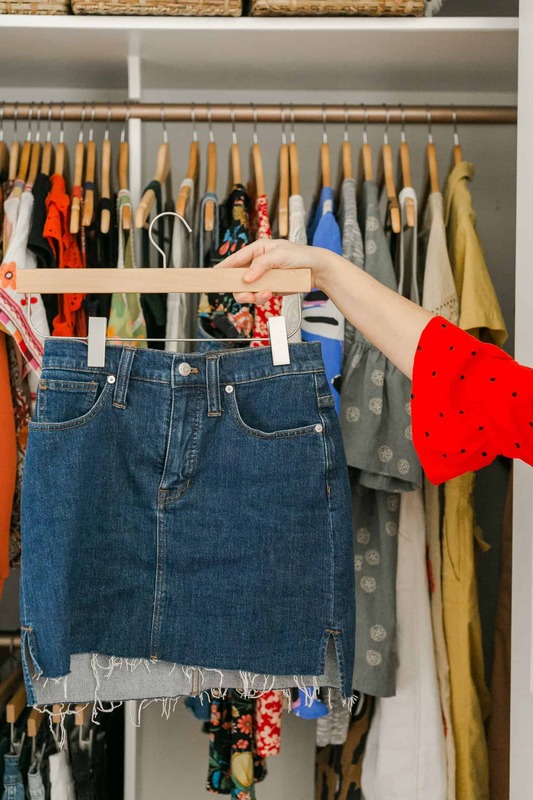 How I define a “capsule wardrobe”: I define a capsule wardrobe simply as preparing your closet for the coming season and then wearing those items for the full season. A lot of people do it by creating a minimal wardrobe (sometimes with a set number of pieces) and making sure everything matches so you can mix and match. I find this appealing, but too limiting, so I don’t limit the number of pieces. I also don’t limit myself to strictly neutrals. I believe that to get the most out of your experience, you need to tailor your rules to your lifestyle and goals! Why is a capsule valuable? There are many different motivations for creating a capsule! One benefit is saving money. You can do this on any budget! You can even create a capsule using only things you already own if you want. I always end up saving money by planning and sticking to a capsule, but it is not my main motivation. Another benefit is saving time. This is my key motivation. I tend to get in a bad habit of online shopping way too much. It’s a huge waste of time! So for me I love to do this because I spend a lot of time on it for a few weeks and then I don’t really have to think about clothing for a full season. Another benefit is becoming a more conscious consumer. This is huge and I have benefitted from it immensely. I’ll share more about this in my second post. My capsule rules. My rules are simple! 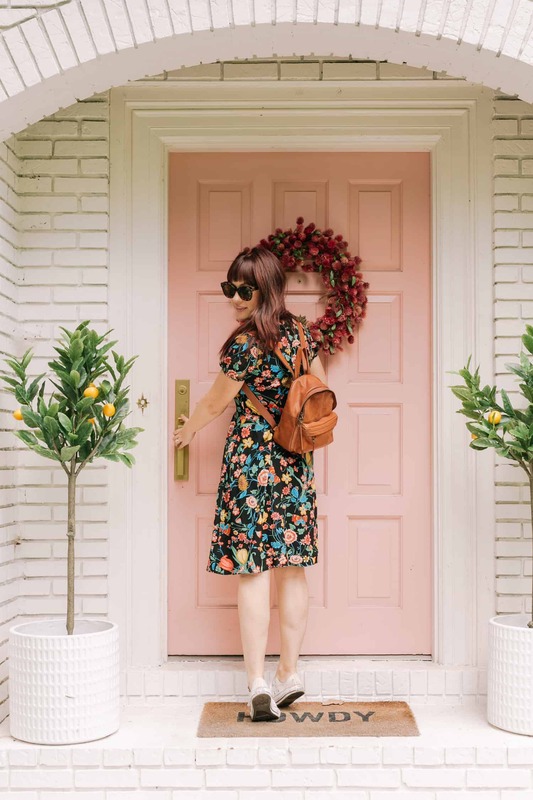 Create a closet for the coming season with ONLY items that fit me that I will wear, and that make me feel happy or confident (preferably both, lol) when I am wearing them. Sentimental items (wedding shoes, funny clothes from high school and a dress from our first date) cannot stay in the closet unless I plan to wear them this season. Clothes that don’t fit need to be tailored, donated or sold. Clothes that have a negative memory attached to them must go. Clothes that I am only keeping because of guilt (money spent, they were a gift, didn’t wear them much) also have to go. Like I said above, I don’t limit my capsule to a set number of items. I don’t have any purpose or desire to get rid of all my clothing except for 40 items. So if I end up with 100 items, great—I don’t care. As long as I will wear them all, they can stay. My goals. My goals are to simplify my process of getting dressed. I used to keep SO many clothes that didn’t fit me (either too small and I was justifying them as “goal clothes” or they needed alterations that I hadn’t gotten around to). This is fine, but when your closet is FULL of clothes like this it makes getting dressed each day super annoying and discouraging. When your closet only has clothing that fits and that you like to wear, getting dressed is quicker and more fun. My other goal is to save time. I love shopping, but shopping every night (online) is a waste of time. When I get all my shopping done for the season it is so nice to free up all that time and use it for more important goals and passion projects in my life, like working on my children’s book, sewing for fun or writing for my family blog. This free time is valuable and it feels so good to reclaim it! 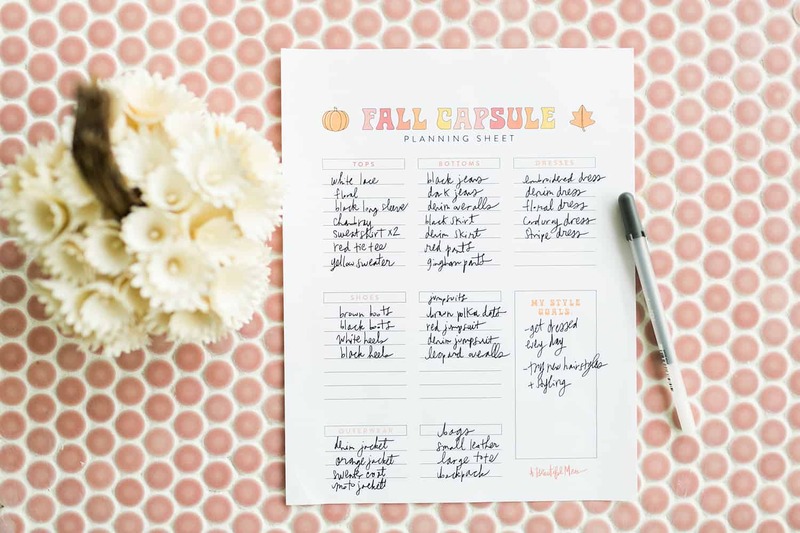 Click here to download our capsule planning sheet. Use this sheet to figure out what you already have to wear this season and what you would like to purchase. Here are some roundups of some of my favorite items in stores this season to shop, divided by category. Tops. I always struggle to find enough tops and I tend to do the most returning in this category—maybe it is just me! 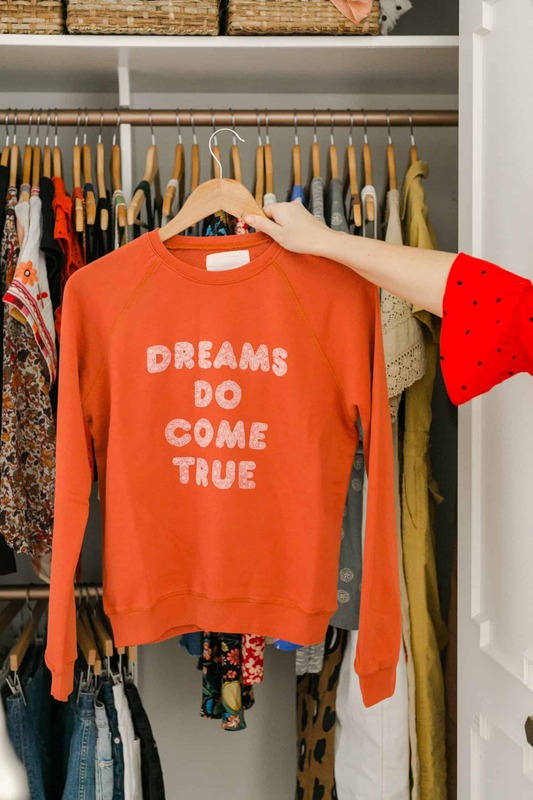 My ideal lineup of tops is a few cozy sweaters, some blouses that look put together with jeans, some blouses that layer well (since I love overalls and layering tops under dresses) and a few cute tees. 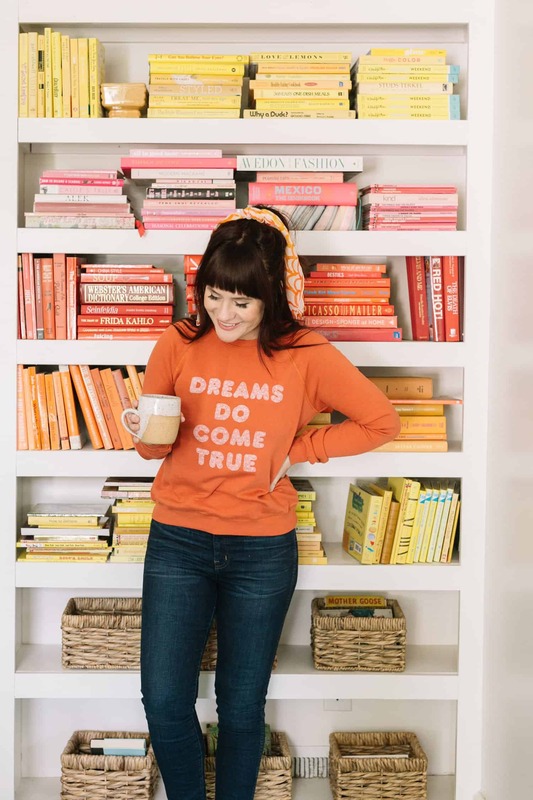 Here’s a link to my new favorite sweatshirt. Bottoms. I think this category is so key for confidence! 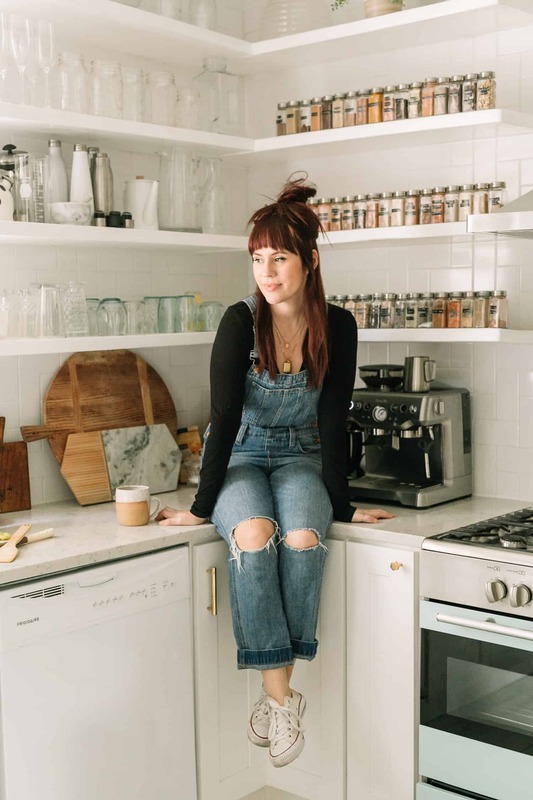 Finding jeans that fit just right, skirts that are the right cut and length, the perfect cozy overalls and a few pairs of pants that are a little more dressy is all I really need. I used to be a hoarder of jeans and felt too guilty to narrow down my collection, but it’s so great to walk into a closet where everything fits perfectly. I’ll never go back! This denim skirt is currently on heavy rotation. Dresses and Jumpsuits. My favorite category! If I had to only wear one item forever, it would definitely either be a dress or a jumpsuit. I LOVE them. I did realize this season that I had too many that I was only wearing a handful of times. So my mission this season has been to only purchase dresses and jumpsuits that I can see myself wearing over and over again. This dress is just too perfect for words. It’s my new favorite. Outerwear. It’s not fully winter yet and it’s not going to be (at least not here in Tennessee) for a while. My fall capsule is all about light jackets. I like to have a few options for denim and a bunch of cozy sweaters to layer. 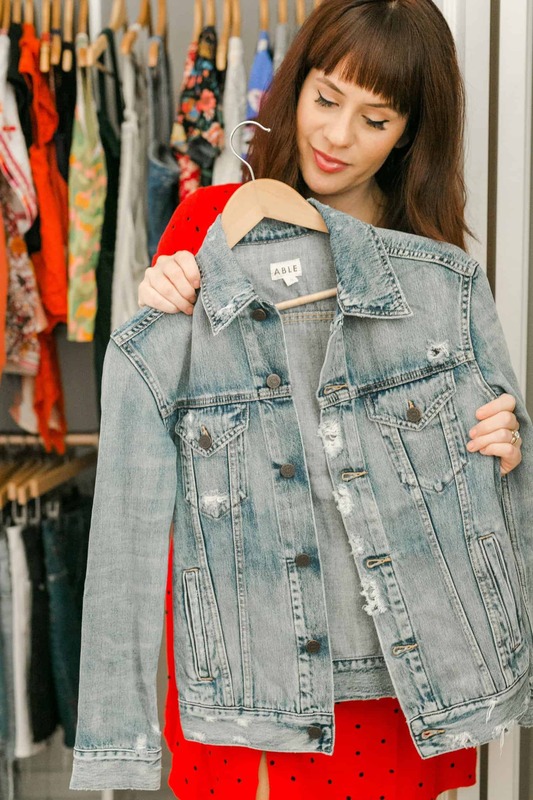 This denim jacket is a bit oversized and so cozy. I love it with skinny jeans. I have a more tailored one that I love with dresses. Options! Shoes. I have been trying to branch out and try new styles of shoes these past few seasons. I am still in the middle of slowly reworking this part of my closet. My ideal mix of shoes are a few casual flats (I’ll always love my white Converse! ), a few pairs of flattering boots and heels and a couple statement pairs, because there is nothing I love more than statement shoes. These heels are so cute and flattering that I bought them in white and then went back for the black pair. Accessories. OK, I am going to break these sliders up into bags and then other accessories. This season, I am loving scarves and dainty gold jewelry (this is nothing new!). Here are a few of the outfits made of pieces from my fall capsule (all these items are linked above except the exact Madewell overalls, which are sold out now). I’ll share more soon … I am still finishing my returns and finalizing the capsule. That part is a lot of work (I have returned SO MUCH stuff), but it’s totally worth it. I am really enjoying the feeling of being super picky now that it feels normal to me. 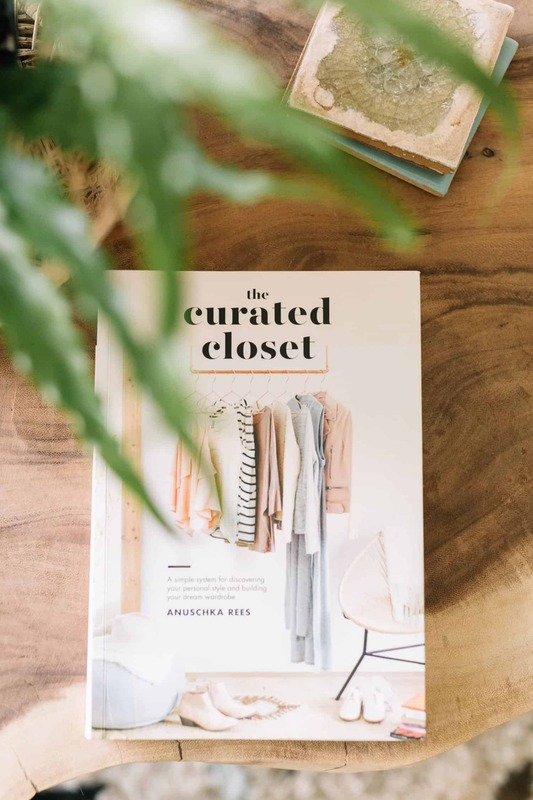 The Curated Closet – This book is SO GOOD. I am currently reading it for the second time. It has a lot of homework that helped me to figure out my closet “issues.” I highly recommend it! 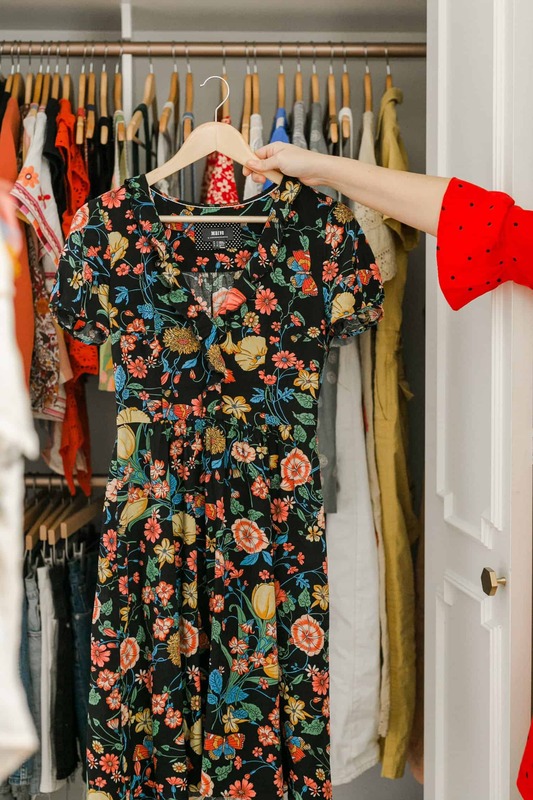 The other book I would recommend if you just need help cleaning out your closet is The Life Changing Magic Of Tidying Up. I tend to get a lot of mental blocks when cleaning out (like people on the show “Hoarders”) where I just feel like I can’t get rid of stuff, and the things I learned from this book always help me to keep making those decisions.